After finding out how many players will take part in the Call of Duty: Black Ops 4 battle royale mode, we now know what kind of map the free-for-all will be taking place on. The official Call of Duty Twitter account released the first look of the map for Blackout, the first Call of Duty Battle Royale mode. It contains plenty of nods to Call of Duty’s history. The map, the biggest in any Call of Duty game, is divided into different regions, which is standard for a battle royale game. Most notably, the map features an area called Nuketown Island. Nuketown is one of the franchise’s most iconic locales and has appeared in every Black Ops so far. That’s not the only reference to a past Call of Duty map, either. Maps like Firing Range and Array were also featured in prior Black Ops games, as well. Players will have the chance to test out the Blackout mode themselves when the Call of Duty: Black Ops 4 battle royale beta starts on September 10, 2018. The beta will begin exclusively on the PlayStation 4. More information on the Blackout mode will be revealed prior to the beta’s launch. 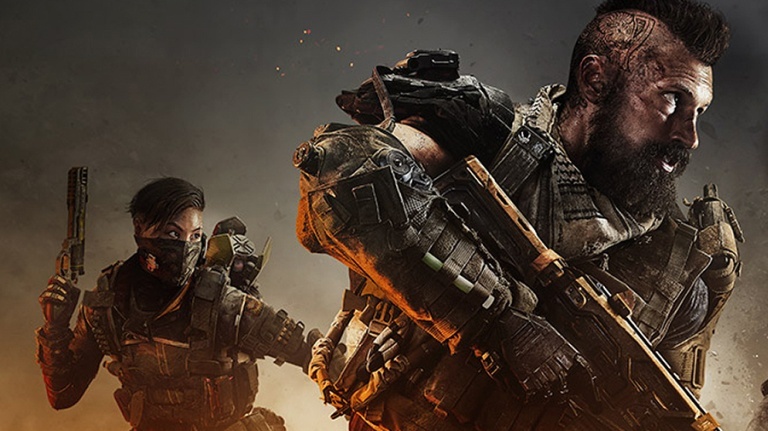 Call of Duty: Black Ops 4 will appear on October 12, 2018 for the PS4, Xbox One, and PC.